Here is a pic of Maximilian & my boy Spy. 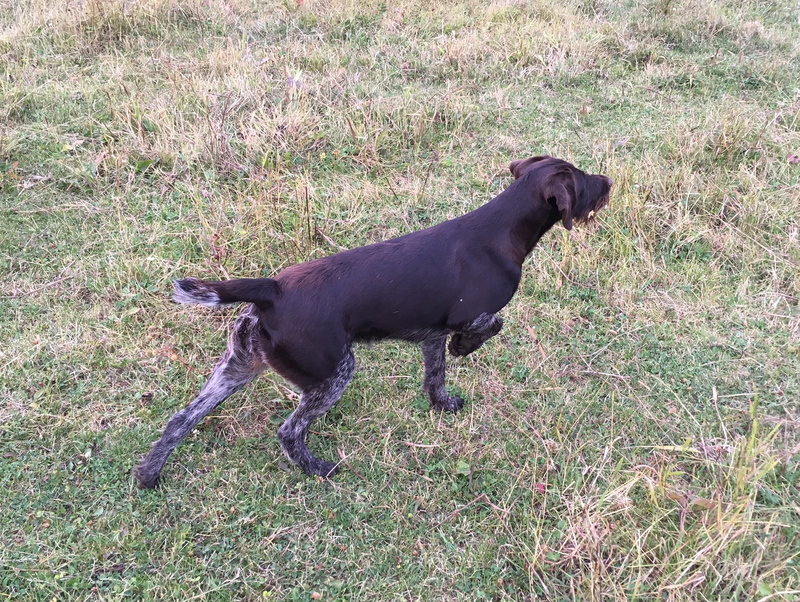 Max was pure bred Weimaraner and Spy was a cross Weimaraner & Dalmatian, both dogs could Point,retrieve & track blood,bay game that was not yet dead. Superior dogs indeed Including great family members who could learn many other tasks. Over here people try to re-invent the wheel by cross breeding without any knowledge of what they are getting out of it. 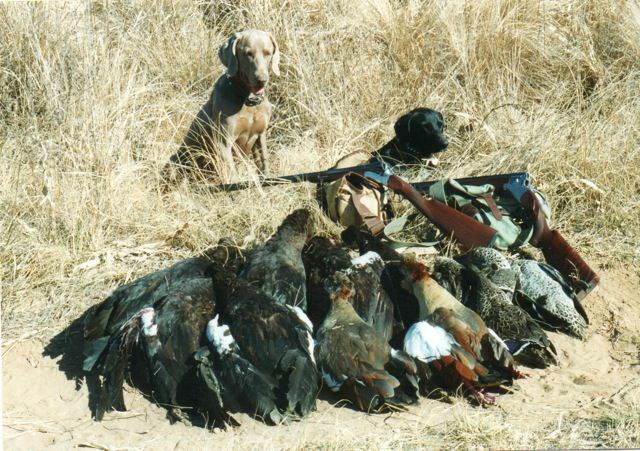 I have shot over Labradors quite a bit and appreciate they are excellent retrievers but really wanted something that was truly versatile. I enjoyed my spaniel but would like something a little larger. I had the chance to work with a weimarainer once and it was quite a dog but after a few comments on here and more research I do not think they would be great for BC. I think that maybe a DD would be a better choice. I think that maybe a DD would be a better choice. Tough to go wrong with that choice. At least you know you'll be getting a dog with a strong hunting pedigree. Good looking dogs, too! I'm glad you put a picture of one of my dogs on here,Fee vom Abendlander. Absolutely no such thing Labs Come in Yellow, Chocolate and Black period. Foxton's Cuervo Gold "KEELA" Oct. 2004-June 2017. Always in my blind and my heart.